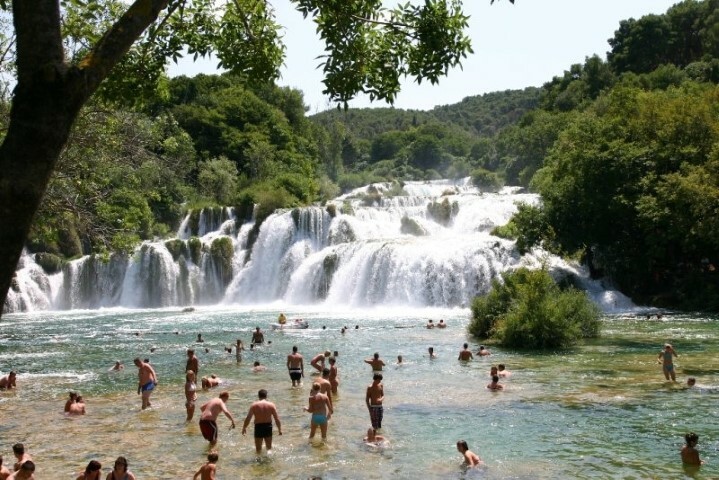 Krka National Park is located in Šibenik County. 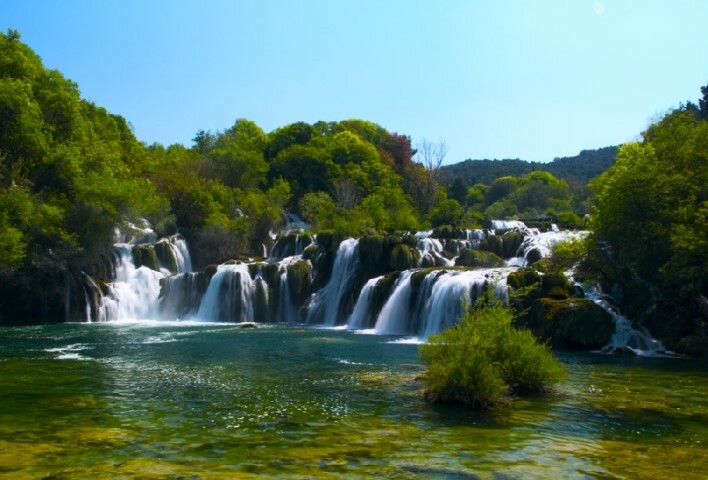 It covers the area of Krka River and lower course of Čikola River including seven waterfalls. The Park is a place of exceptional values, unique for its extraordinary travertine formations. Travertine is a limestone that is formed in water with high concentrations of dissolved calcium bicarbonate. 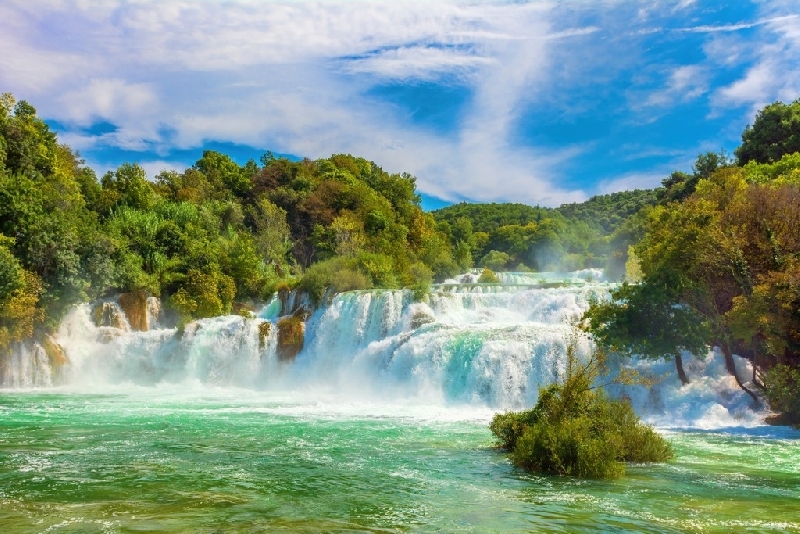 Krka National Park is an inevitable Croatian landmark, its natural beauties, interesting history and welcoming local residents will most certainly leave you breathless. Besides the National Park on this excursion you are going to visit Šibenik, old coronation town of Croatian kings, established in the 11 th century. One of its sights, St. James` Cathedral is listed in the Register of UNESCO`s World Cultural Heritage. Šibenik is quite small and has a lovely promenade where you can take a walk and enjoy the sea view. Above the city stands St. Michael`s fortress dating from the 15 th century. It is a typical Dalmatian town with narrow streets and many monuments of historical importance. We are sure its charm will overwhelm you. 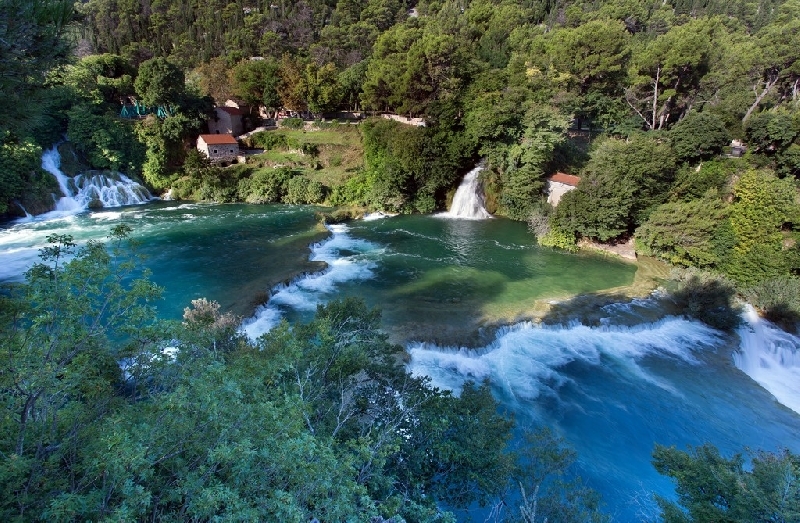 Skradinski buk - the biggest of seven waterfalls on the Krka River. Covering the area of 400 m in length and 100 m in width, with its 17 cascades it`s the largest travertine cascade system in Europe. 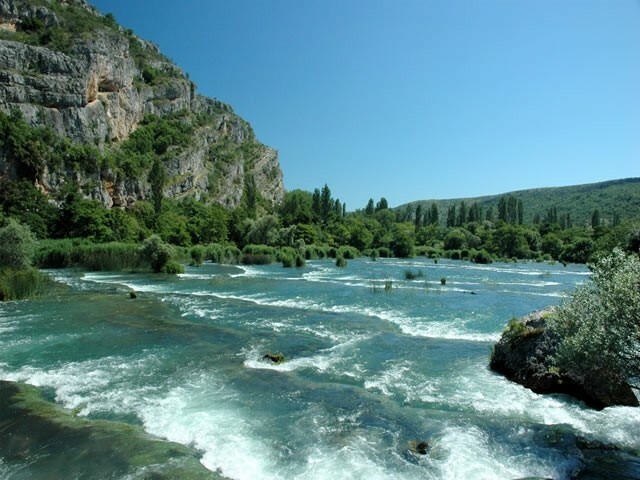 However, it is also the most attractive part of Krka National Park. Swimming is allowed at the foot of the waterfall and many park`s visitors enjoy there in refreshing moments during the hot summer days. Visovac - a small island situated on the homonymous lake between the waterfalls Skradinski buk and Roški slap. It is in the property of Franciscan monks who warmly receive their guests from all over theworld. During the last 500 years the monastery of Our Merciful Mother and the church of Our Lady of Visovac have been visited by numerous pilgrims. It is an oasis of spirituality and peace where many people come in order to find tranquility and serenity. 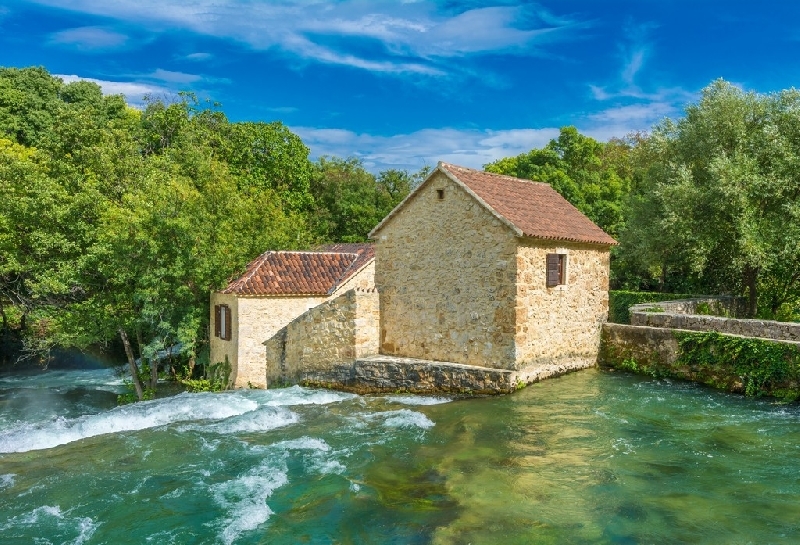 Water mills on Krka River are important monuments of economic past of Šibenik Region. During the history wheat was milled there for numerous towns all over ‪Dalmatia. Burnum – the ruins of ancient Roman military camp stand near the village of Ivoševci. Erected in the1st century as a strategically important position for controlling passage across the river, it marked the starting point of all military campaigns towards the inland regions. Krka hydroelectric plant was constructed and started working in 1895, just two days after Tesla’s hydroelectric plant on Niagara Falls became operational. At the same time, 11 km of power lines to transmit electricity and a city lighting network were built, so Šibenik had electrical lighting before many European cities. It was the first complete electricity system in Croatia.